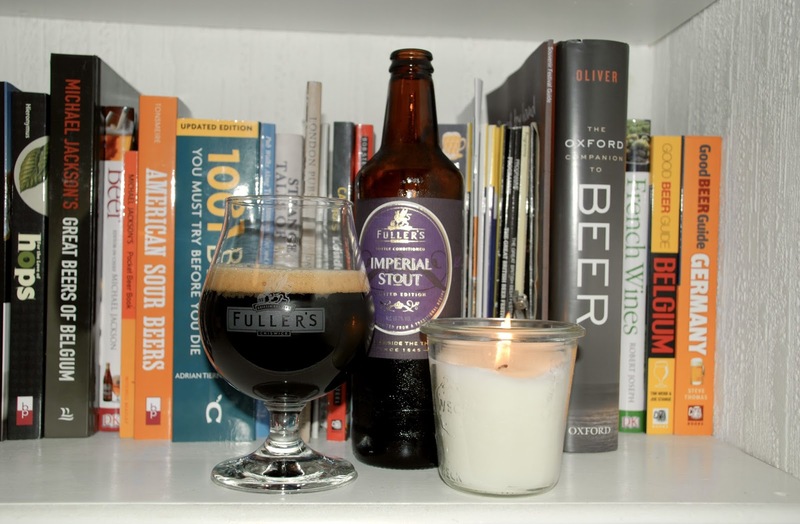 that Fuller’s feeling 2 – MostlyAboutBeer…….. This is the only beer I bought from this year’s Great British Beer Festival at Olympia in west London. 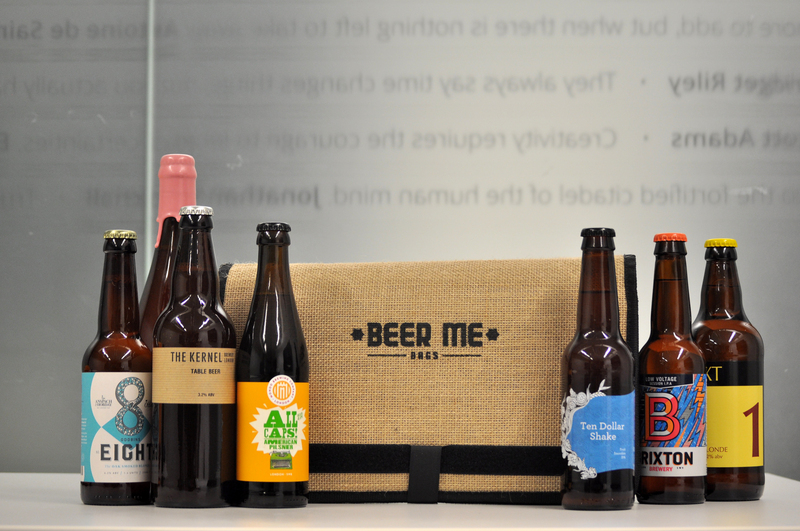 It was brewed with the help of journalist and consultant Melissa Cole. She’s been very helpful to the brewery; Oliver’s Island – their light golden hoppy staple on the bar top (now that Chiswick bitter’s been relegated to being a seasonal) was also an ale made with her collaboration. I paid £8 for this bottle. It’s made with Centennial hops and rose buds. 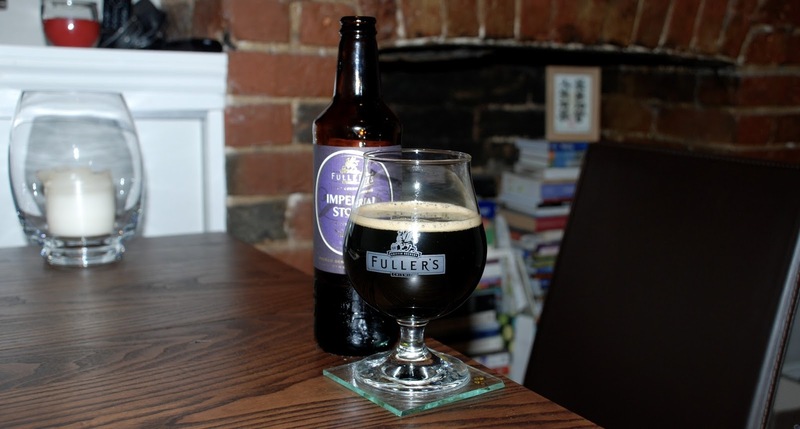 Back home, I spend a half hour in my loft looking for my Fuller’s balloon glass – tradition requires it not just for the images but because it really shows off the glow and aroma of the heavier beers. These are little adult pleasures. The liquid is rich but not treacly. A nourishing froth rises like a churned khaki milk. I swirl it a few times to get a nose and it’s much less roasted than I’d imagined – it’s tarter – more like stewed red fruit – a plum and cherry compote. Like every strong Fuller’s beer I’ve ever had, there’s a permanent Cognac edge to the nose I associate with the yeast. It washes down the consistency of carnation milk. I get the spiritous warmth of red and black fruit pastilles. Dryness follows this up on the roof of the mouth. That “red fruit” edge starts to tease you. What is it? The rose buds? I can’t say as I don’t know what they taste like. Whatever it is, it gives this beer a dimension which is akin to a strong dessert wine or a port. It actually reminds me of the wine gums with “port” stamped on them. It rends a heat to the palate from the booze at the same time as reminding you of the strawberry centres in Christmas Quality Street chocolates – though not in a sickly way. As you adapt to it, there’s a creme caramel smoothness. It glides, it soothes. This beer has smoothness, sharpness and satiability. I love it though £8 is a bit too much. The label states that it tastes of Turkish Delight. It does but could that be the power of suggestion?